There’s a lot going on in town these days; it’s great to see it all coming together. New buildings are popping up; we’re getting nice new spaces like the Oxford Promenade, and fun events like the Bread & Circus Buskers Festival keep everyone amused. 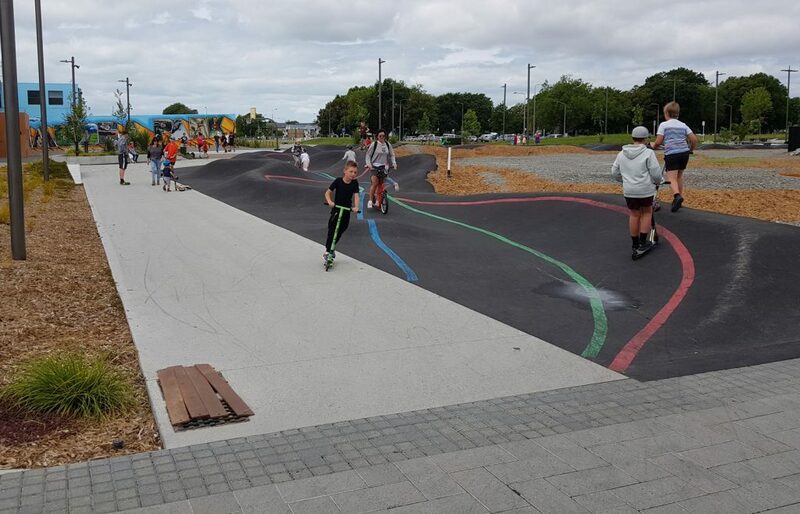 If you or your younger charges are looking for a fun diversion from “boring” old cycle paths, perhaps make a detour to the pump track (the fact that it’s next to Margaret Mahy Playground is an added attraction too…). 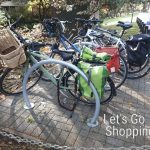 Plenty of car parking nearby, or you have a choice of quite a few cycleways that will now get you here from all directions. Have you tried out the East Frame pump track yet? I’m over 60 and throughly enjoyed it on my ciyt bike although my reaction time was about as good as the little kids on scooters (i.e. not that great). I’d love to have a few more goes when there were few people on it (and all starting from the same direction). Hopefully it is not going to be TOO temporary. Next Next post: Wanted: Your contributions!